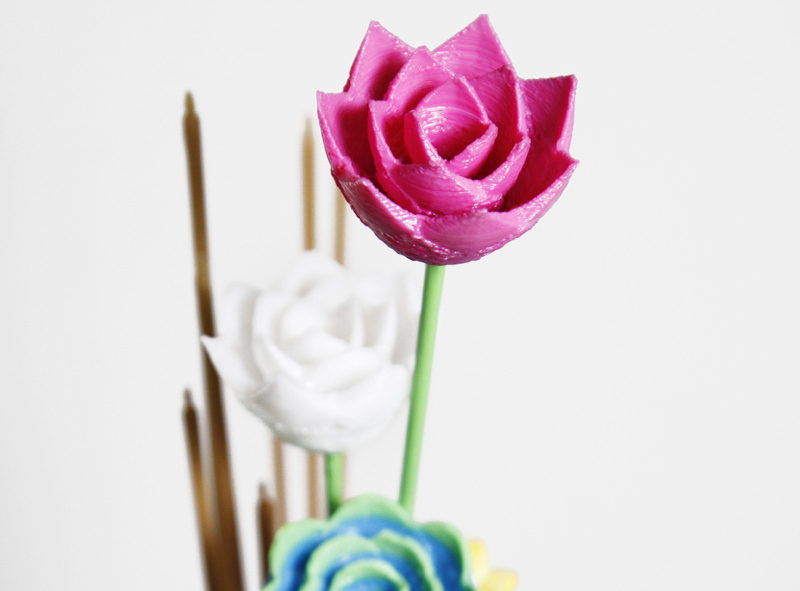 Scented filaments for 3D printing! 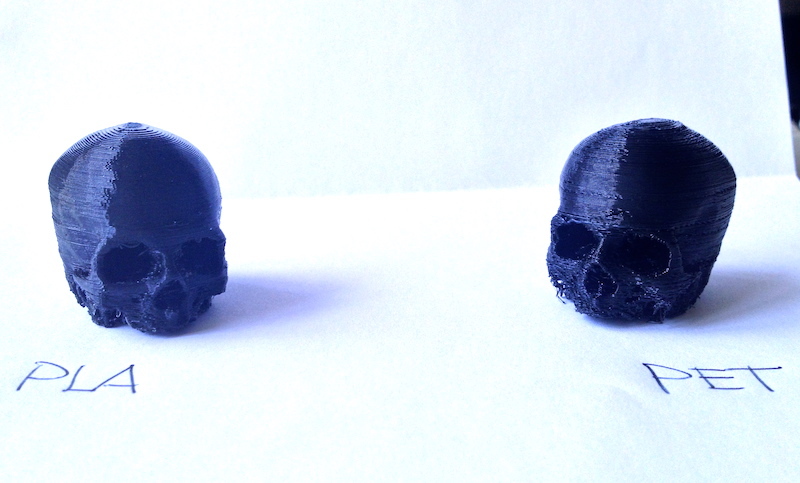 Here we go again, we have a wonderful new material for 3d printing. Who ever printed with ABS (which by the way has to be printed under certain conditions of security) knows the smell of the plastic during the melting process. Furthermore, the plastics do not have a good smell even after the production phase. So we thought: why not make a scented plastic? And we did it. Ladies and gentlemen: we present the filament that smells of vanilla! Your lab will smell good during your prints and, furthermore, the smell will be maintained by the object even after you have printed it. Cool, isn’t it? The filament Vanilla, along with other varieties of Stick Filament, is on sale for pre-order at WWW.STICKFILAMENT.COM very soon. Check it out! 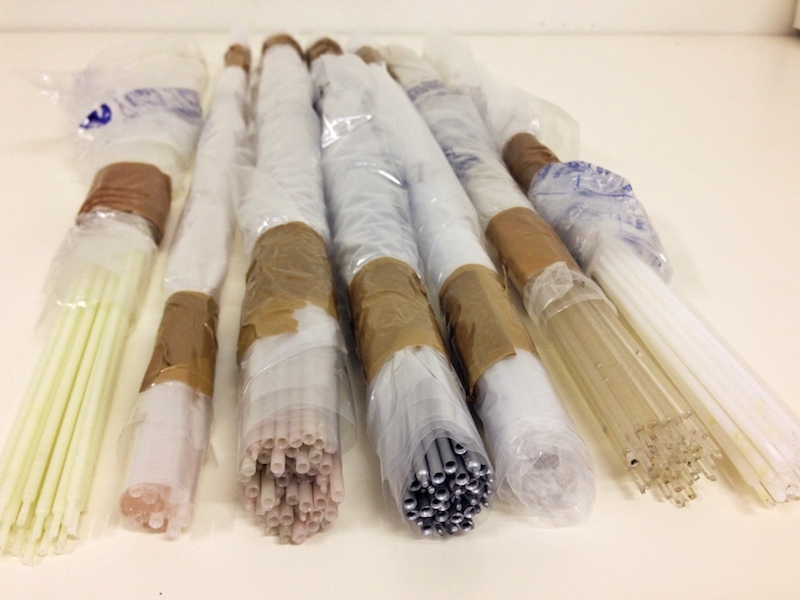 Stick Filaments ready to go! 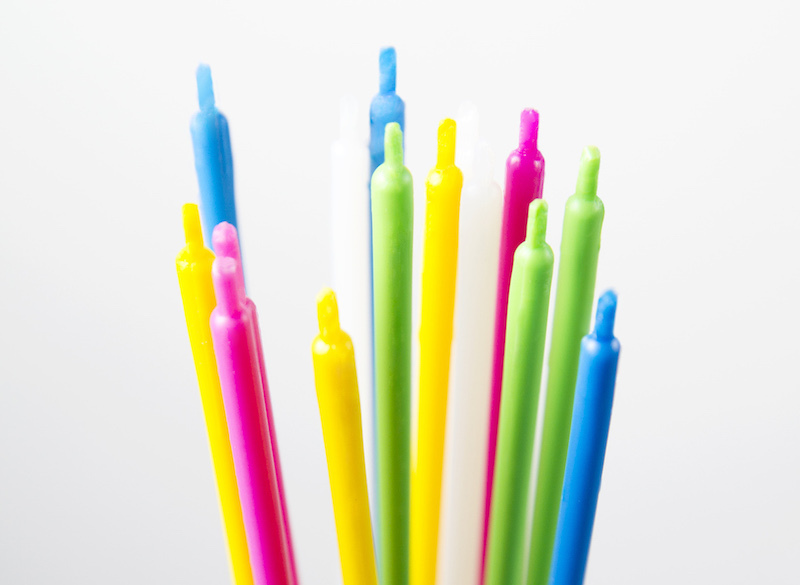 We worked hard for a wonderful Stick Filament launching site and now… here it is! 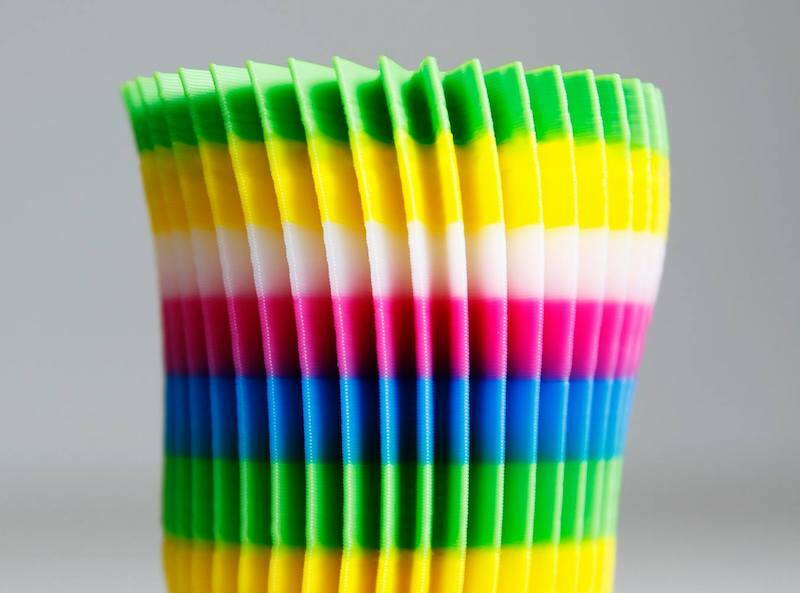 Stick Filament is a innovative 3d printing format for plastic filaments with many “pro”. SMART, because you can customize materials and colours on demand. From today you can pre-order them in our new site in three different versions: Mix Pack (multicolor filaments in PLA and HIPS) and Photolum Pack (phosphorescent HIPS). 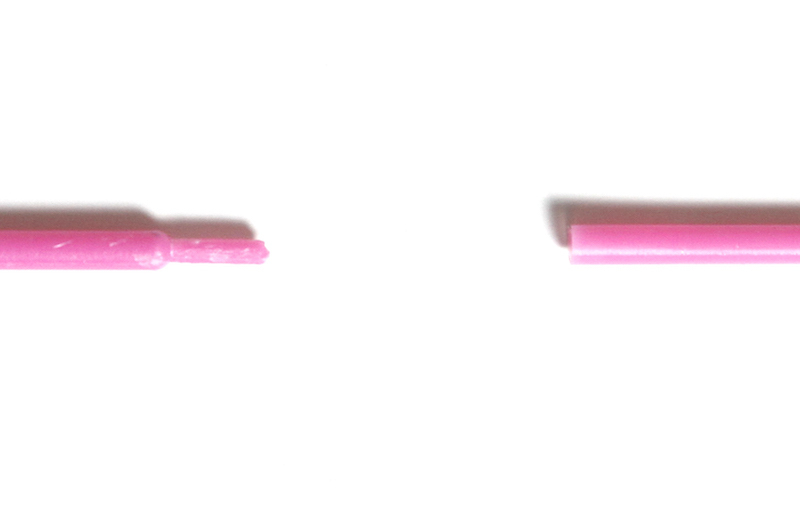 The Sticks are, at the moment, available only in 3mm. Our efforts to look for new materials ad hoc for 3D printing are bringing significant results through the use of Stick Filament. Chi ha detto che il filamento può essere prodotto e commercializzato solo in rotoli? Design for Craft presenta STICK FILAMENT, il primo filamento sperimentale progettato appositamente per la stampa 3d. 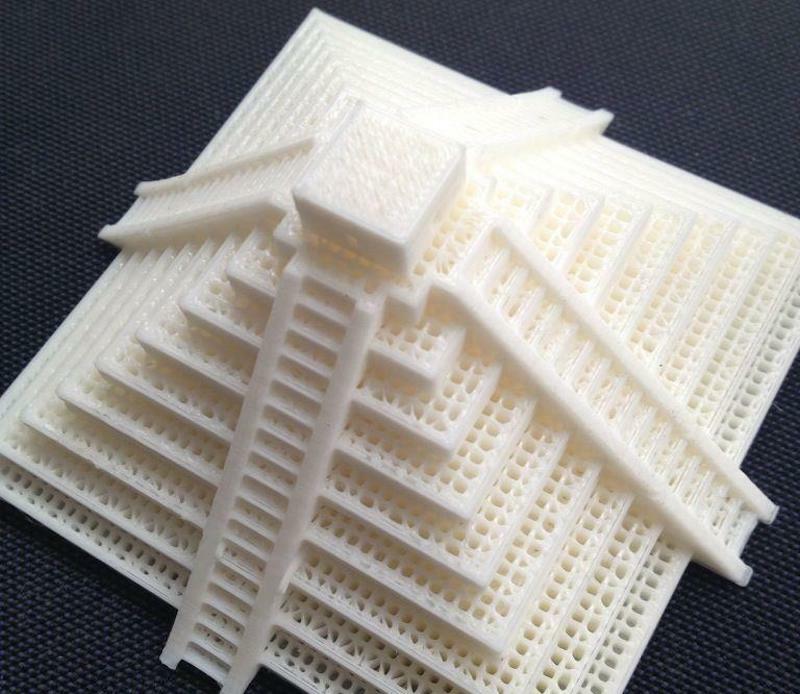 Pratico, modulare, economico e smart, è la risposta a molti degli inconvenienti comuni ai filamenti utilizzati sino ad ora dalle stampanti 3d desktop, originariamente nati per altre applicazioni. Stick Filament è un sistema modulare con innesto a pressione che permette di fissare in modo sicuro tra loro le stecche fino a raggiungere la lunghezza desiderata. Ciò consente, inoltre, la stampa di oggetti con più colori: basta giuntare tra loro stecche di diverso colore e il gioco è fatto! Stick Filament è economico perché, finalmente, consente di acquistare la quantità di filamento che si intende realmente utilizzare senza necessariamente comprare costosi spool da 1 kg. Stick Filament è smart perchè consente di scegliere tra una grande varietà di plastiche dedicate alla stampa 3D: dall’ABS al Nylon, dal PVA idrosolubile allo Styrene, tutti in diversi colori e qualità personalizzabili anche su richiesta. e sarà disponibile per l’acquisto già dalle prossime settimane presso l’e-shop di Design for Craft. 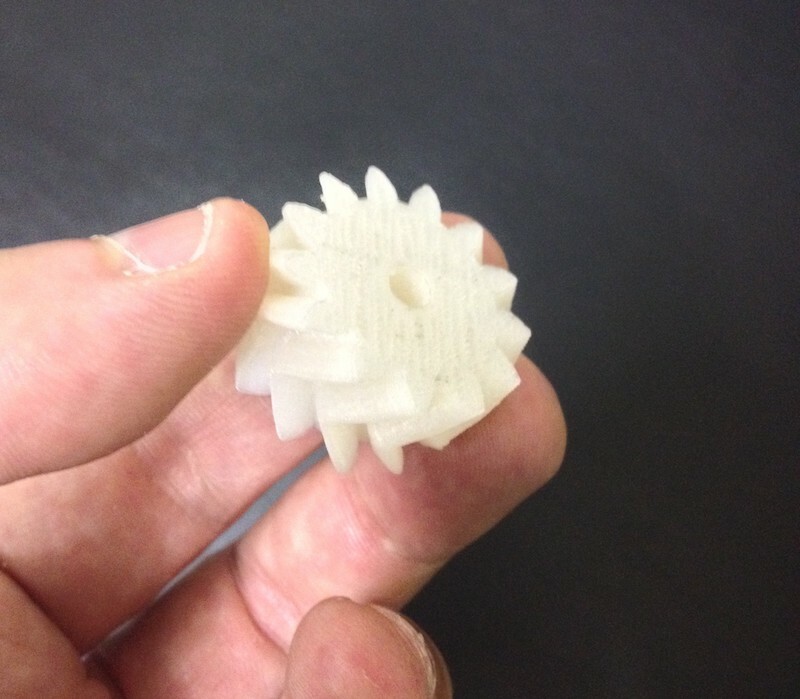 We’re currently testing new kind of filaments for 3d printing with (additive manufacturing). One of this is Polyethylene Terephthalate, aka PET, a thermoplastic polymer resin. It is a very versatile material, commonly known for use in food (eg bottles) but is used in various fields. We tested the first molded parts for an heavy duty because we want to verify their mechanical strength after undergoing the process of extrusion. Here are some components for the world sport: guards and protections for sport motorcycles. These components have been stressed, bumped, tried on different bikes and, today, we can be satisfied: they do their job well! We are just beginning and we want to verify the safety of 3dprinting PET for food and beverage industry. Soon more news for you! We are working on new plastic materials for 3D printing; we want that new benefits will be available for all those who produce objects with 3D printing. That’s why we are developing new plastic filaments, suitable for most of the 3D printers on the market today, providing new specifications and performance. 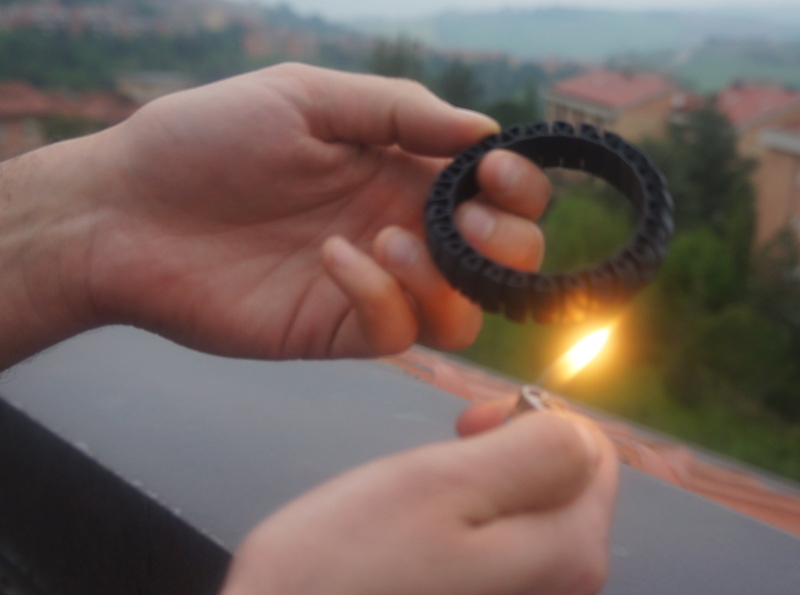 For example the ABS is one of the most common materials for 3d printing with fused filaments, so we’ve decided to develop the first filament of ABS flame resistant (V0 flammability class)! We are sure that this will enable the creation of new objects, new possibilities and new functionality. Follow us for our latest news about the materials we’re testing and for more informations.